“Calling All Crows partners with musicians and fans to create change through hands-on service and activism with a specific focus on women’s rights. Founded in 2008 by musician Chadwick Stokes (Dispatch, State Radio) and tour manager Sybil Gallagher, Calling All Crows has invested over 30,000 hours of service and raised more than $550,000 to support organizations in communities across North America and Europe.”- From Calling All Crows website. Forced to Flee Tour – In 2009 at a Dave Matthews Band concert, I heard an opening act called State Radio. They talked about socio-political issues. The music opened up my mind to perhaps change some of the problems we faced in the world. I reached out to Calling All Crows to do some non profit work for them. 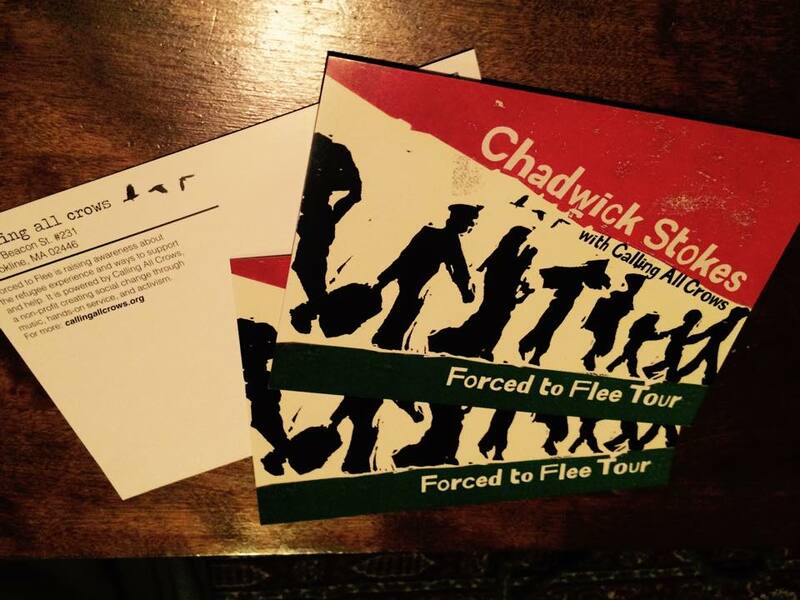 The first project was for Chadwick Stokes, “Forced to Flee Tour.” The idea behind the work was to make the post cards out of media that a refugee could use fleeing their country. The original piece was a linocut. 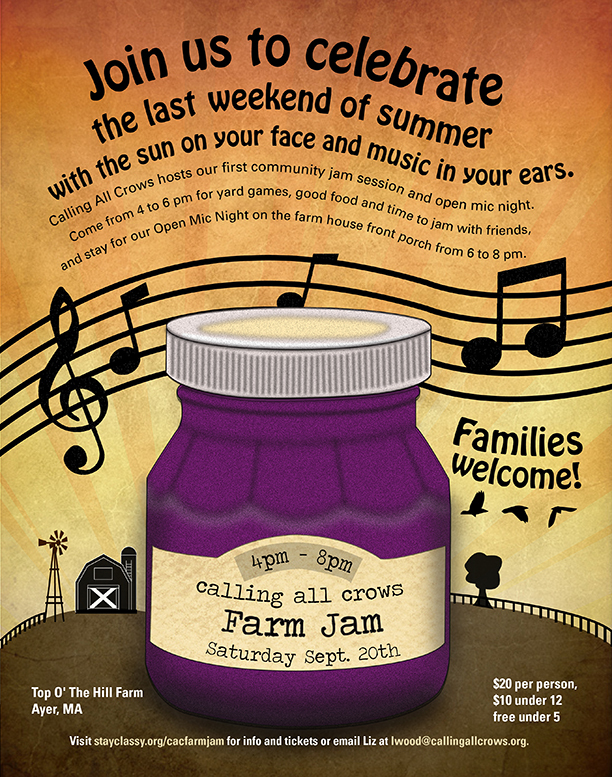 Farm Jam – This was a digital flyer to raise money for Calling All Crows. The concept is all about if a jar of Jam was having a rock concert.